Early this month, Wal-Mart debuted Walmart Pay - a new way for customers to pay at the checkout line using only their smartphones. Mobile payments is a quickly growing landscape, with Walmart Pay joining Apple Pay and Google Pay, among others. Walmart Pay is part of the Walmart retail app, which is one of the most popular retail apps currently available, with 22 million active users, according to The New York Times. As Nasdaq pointed out, Wal-mart is now the only retailer with its own custom payment solution. Plus, Walmart Pay works on both iOS and Android and can be linked to just about any major credit or debit card, as well as Wal-Mart gift cards. With all of that going for it, it's obvious that Walmart Pay is a huge win for the retailer and should set off a flurry of imitators, right? The thing is, while the media coverage of Walmart Pay and other mobile payment apps makes it easy to assume that these solutions are incredibly popular and poised to completely change the state of retail today, that isn't really the case. In reality, consumers are less likely to get excited at the idea of embracing mobile pay and more likely to, basically, shrug. This suggests that rather than worry about making the payment experience easier, retailers should instead focus on helping consumers to discover and pick the right products. People are less than excited about mobile payments. This shrug can be seen in both actual usage and consumer attitudes. Consider this InfoScout report on Black Friday shopping habits. Based on approximately 300,000 receipts, the study found that iPhone owners turned to Apple Pay for only 2.7 percent of all Apple Pay-eligible transactions during this most recent Black Friday shopping period. This actually represents a drop from last year, when shoppers turned to Apple Pay in 4.9 percent of available opportunities. For Android users, mobile pay was even less popular, with consumers turning to Mobile Wallet for only 2 percent of eligible purchases. "Mobile-payment usage increased only 1 percent year-over-year." An Accenture survey further highlighted the lack of enthusiasm for mobile payments among consumers. The report included insights from 4,000 smartphone users and found that 52 percent of respondents now realize that they can use their phones as payment devices - an almost 10 percent increase from the year before. However, that increase in awareness hasn't had much of an impact on actual mobile-payment usage, which increased only 1 percent year-over-year. 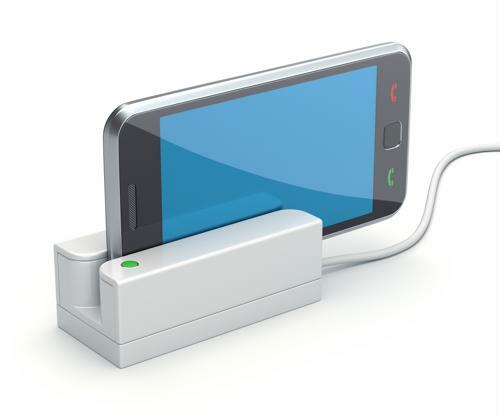 Altogether, only 18 percent of participants said they use a mobile payment solution once a week or more. "This is a clear indicator to banks and retailers that although the digital transformation in payments is progressing, there is still a long way to go before we reach broad market adoption," said Robert Flynn, managing director for Accenture Payment Services in North America. The takeaway here is that while consumers may be more aware of mobile payment apps, at the same time, they don't seem particularly excited about this technology. It still may be true that the market is heading in that direction and retailers will eventually need to embrace such technology, but as Flynn emphasized, that's a distant possibility, not an immediate concern. Generally speaking, consumers are perfectly fine with their current payment options, and they aren't eager for new alternatives. A much more pressing issue is the question of how consumers encounter retailers' products. Offering customers a new payment option isn't an effective differentiator, and it's not going to boost sales. But retailers can gain an advantage and improve their positioning if they instead focus on the trend toward multi-channel shopping. Customers aren't worried about how they pay for products in the store, on the desktop or via mobile. However, they are VERY eager to enjoy a consistent experience across all of these channels. Those retailers that can deliver a consistent, accurate experience across every platform will have a major competitive advantage. That's where a product content strategy will prove so invaluable. By focusing on ensuring that products are described coherently and accurately across every channel, brands and retailers will benefit by creating a rich, differentiated experience for all of their shoppers.